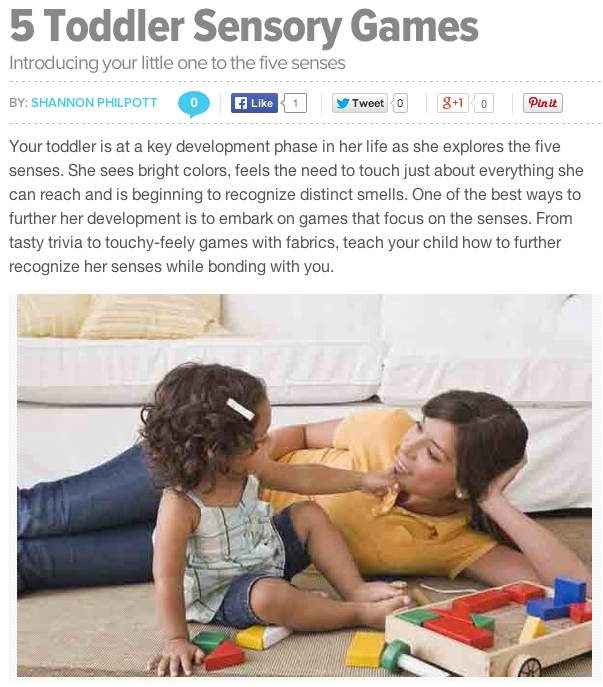 Your toddler is at a key development phase in her life as she explores the five senses. She sees bright colors, feels the need to touch just about everything she can reach and is beginning to recognize distinct smells. One of the best ways to further her development is to embark on games that focus on the senses. From tasty trivia to touchy-feely games with fabrics, teach your child how to further recognize her senses while bonding with you. It’s hard to find your website in google. I found it on 19 spot, you should build quality backlinks , it will help you to increase traffic. I read a lot of interesting content here.